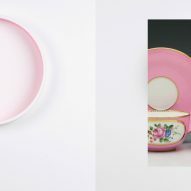 Scholten & Baijings references Renaissance paintings and historic French ceramics in this collection of porcelain plates and vases, which feature pastel tones and gradients. Designed for historic Parisian porcelain company Sèvres, the L'univers coloré de Scholten & Baijings collection is being presented during Paris Design Week. 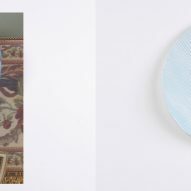 Both the plates and vases features colourful compositions typical of Scholten & Baijings' work – as seen on projects like their textiles collection for Maharam and their glassware for Hay. 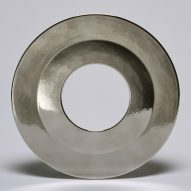 But the designs are intended to reflect on two earlier periods of ceramic design and art. 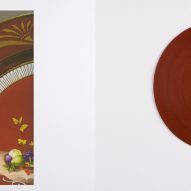 For the plates, Scholten & Baijings looked to tondi paintings – small, round artworks created in the Renaissance period – to source their colour palette. Their designs range from striped single-coloured plates, to pieces decorated with shades that gradually build in intensity. 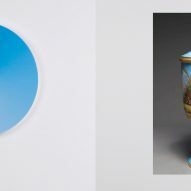 "Scholten & Baijings' tondi are abstract translations of landscapes," said the Sèvres gallery. "Colour studies made by glaze experts during their stay at the porcelain factory also served as their inspiration." Designers Stefan Scholten and Carole Baijings were also keen to acknowledge the history of Sèvres' porcelain production through their collection. They did so through the vases, which are designed to recall vessels produced in the French suburb many centuries ago, and feature reinterpreted forms and patterns found in the Sèvres archives. 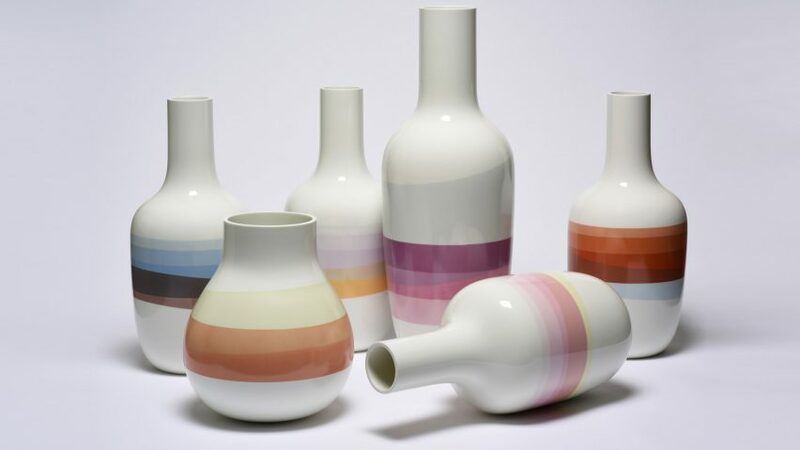 Each piece is simply decorated with soft pastel-toned hues that wrap around the vessels, criss-crossing at different points. "For their project, the designer duo reinterpreted various forms of vases from the manufacturer's repertoire, and became fascinated by the palettes of enamels on offer," said Sèvres. "The result of this fruitful collaboration is a perfect symbiosis of shape and colour," the company continued. "A chromatic world all their own, perfectly recognisable, with diluted pastels of an almost fluorescent intensity complemented by the excellence and expertise of Sèvres." This isn't the first time Scholten & Baijings has worked with porcelain. At Milan last year, the design duo recruited 16 designers to create porcelain pieces for a new ceramic brand named 2016/, which was started to revive interest in and bring commerce back to the historic porcelain industry of Arita, Japan. However it is the first time the duo has worked with Sèvres, which was founded in 1740. The company has previously worked with other guest designers and artists to create modern interpretations of its classic porcelain pieces. 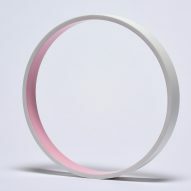 Past collaborators include Scottish designer Dean Brown, who created designs featuring colour-filled glass tubes. The L'univers coloré de Scholten & Baijings collection are on show at the Sèvres Gallery throughout Paris Design Week, which is taking place until 16 September 2017, to coincide with the autumn edition of furniture fair Maison&Objet. Afterwards, they will be presented at the National Ceramics Museum in Sèvres as part of an exhibition titled The Experience of Colour.